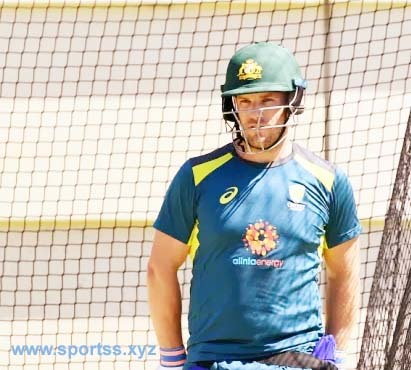 Tim Paine has given Aaron Finch his blessing to tackle his Test demons by fighting fire with fire against an Indian attack hungry to feast on the home side's inexperienced batsmen on Optus Stadium's green top. The Victorian, who worked closely with former captain Ricky Ponting at training on Thursday, has been given another crack to prove his wares as a Test opener on home soil after Australia announced an unchanged XI for the second Test. Despite another modest performance by the team's frontline batsmen, selectors have resisted the temptation to tinker with their top order as they strive in Perth to keep alive their hopes of regaining the Border-Gavaskar Trophy. 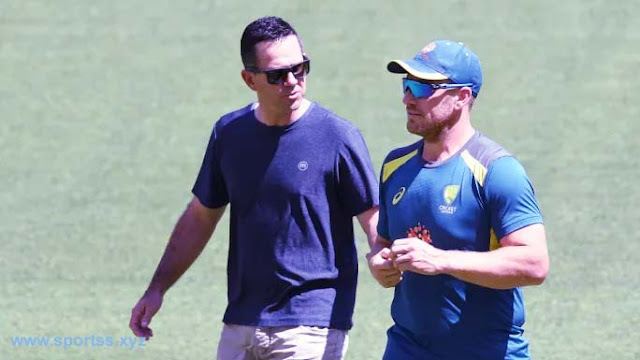 Ponting was a special guest at Australia's final training session before the second Test starting Friday, working with Finch after his twin failures in Adelaide.. The batting great had questioned whether Finch had the game to prosper as an opener at home despite his promising start on the dead tracks in the UAE. Australia's options with the bat were limited as they risked a major reshuffle if they had moved Finch down from his position at the top. The hard-hitting 32-year-old has been considered a white-ball specialist throughout his career but the dearth in Australia's batting stocks has given him an opportunity at Test level. Paine wants Finch, who was dismissed for a duck to a booming drive last week, to back himself in the Test arena. "We encourage all our players to back their strengths," Paine said. "Finchy's been successful in international cricket, played really well in the UAE. "He's like other players, he just needs that one score to get that more self-belief at Test level that we know he has at international T20 and one-day cricket. "You're not going to succeed in international cricket unless you stick to your strengths. "Finchy knows the best way he goes about his batting. We've got to keep him on track and make sure he does that. If he does he'll come good for us." After missing training on Wednesday to freshen up, Paine, who had an injury scare on his troublesome finger in the first Test, took part in several drills under the baking sun at Optus Stadium then batted in the nets. The captain defended Mitchell Starc, whose body language was questioned by pace great Mitchell Johnson, saying criticism of the senior quick had been "unfair". "One thing I know about Starcy, when he gets criticism he takes it personally and sometimes that gets the best out of him. "We know his best is the best." India's batsmen have traditionally struggled with the extra bounce on offer on Australian pitches but they are more experienced than their counterparts, who, apart from Usman Khawaja, are finding their way in the baggy green. Kohli's band of pacemen, led by Ishant Sharma, are considered to be the best India have taken to these shores and ready to make the most of the pace-friendly conditions expected for Optus Stadium's Test debut. India are drawing confidence from their victory over South Africa on a treacherous Wanderers pitch which tested the technique and courage of batsmen. "We're not alien to pitches like these, we've played many times on these kind of wickets - it's nothing new for us," Kohli said. "We know what to expect on a pitch like this. On a lively wicket with a lot of grass on it and the surface being hard you are as much in the game as the opposition. "There is no favourites to begin a Test match. Whichever team plays well and is brave enough to tackle those conditions wins on tough wickets. "We are definitely confident on the percentage of chances we have and we will build on that. "Australia will be a strong team at their home conditions and on a wicket like Perth which probably offers you more than other pitches in Australia. As I said we have an equal chance in the game."